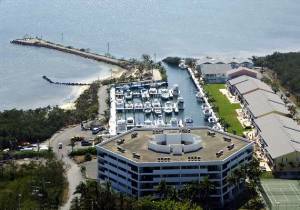 Located one hour from Miami, Kawama Yacht Club is your escape route to the Florida Keys. Situated at mile marker 100 on the Atlantic Ocean, this gated community offers all you need for a relaxing vacation or getaway.Enjoy the panoramic view this 5th story unit has to offer of the Atlantic Ocean and the adjacent Wildlife Sanctuary. This beautifully decorated unit affords its guest the spectacular sunsets the Florida Keys are famous for right from your living room or balcony. The whole family will love this spacious 2 bedroom, 2 bath unit which comfortably sleeps 6 guests. Inside you will find elegant furnishings and decorations throughout with conveniences not found in many locations. See our web page at www....com for additional info and pictures of the suite and complex. everything from towels to beach pails. What a wonderful condo! Very clean, very bright and everything you needed was here except your toothbrush and bathing suit. Great grounds too. Estella called the night we got in to make sure everything we needed was there. First time that's ever happened when we visited the keys. I would heartily recommend this tropical paradise to anyone wanting to visit the keys! Just returned back to the cold from a fabulous vacation. Jose and his wife could not have been nicer. The unit was extremely clean and spacious. There was nothing that we needed to buy except food. The condo came very well equipped. The pool was a plus and everyone we met were friendly. I would recomment this unit if you want a hassle free and fun vacation. clean, which we very much appreciated! Very nice and clean unit with all appliances working. Nice location on the ocean side of Key Largo. Would rent again. walked to a restaurant for a great meal. wait to go back ourselves!! The stay was Great! We thank the owners for use of their fine home and heartily recommend it to any who wish to experience a quiet and pleasurable escape from the chilly north. The units condition, amenities and the locale all were most enjoyable and can be recommended with out any reservation. I look forward to visiting again! Homeowner Response: Thanks Roger look forward to hosting you in Key Largo again. We chose Kawama Yacht Club (KYC) because of all the features available in the complex but we want to return because in addition to the great location, Jose & Estela, the owners, genuinely care that their guests have a good time during their stay. You can’t find a better value for the price either. The unit had everything we needed so we could pack lighter. Because each bedroom had a bathroom attached, it was like having two separate mini-suites for privacy purposes. My mother was able to use her walker in the unit & there were 2 elevators available. Each morning we spent on the balcony with coffee enjoying the view overlooking the marina, ocean and wildlife preserve. It felt like we had the entire complex to ourselves. The complex has nearly every imaginable amenity – ocean, beach, pools, marina, tennis courts, fishing pier, snorkeling in the lagoon, playscape for kids. The shady lagoon was an especially beautiful place to stroll around. Gorgeous, big parrot fish came up to the dock to feed and we even found a tarpon while snorkeling. There are no restaurants or bars on the property but there were plenty within a short driving distance. If you enjoy cooking your own seafood without having to catch it, Key Largo Fisheries is a fresh seafood market three blocks from the entrance to KYC. All the local restaurants get their fish from the fishermen’s catches that come in here each morning. Pennekamp State Park, Dolphins Plus, Theatre of the Sea, dive boat operators and other attractions are all within close driving distance. Key West made an excellent day trip. Whether you use KYC as a home base for seeing the rest of The Keys or decide to stay on the property your entire stay, you will be pleased you chose to stay with the Penabads! We had a wonderful trip. Estella made us very comfortable with colorful stories of her experiences and recommendations. We could have been herded into expensive trips, but enjoyed the grounds so much we barely left. Jose made us feel at home, and we are grateful to both of them for sharing their home with us. Thank you! My husband & I stayed in Jose and Estella's lovely condo March 19-April 2nd. 2011. The view was fantastic, watching the sun set over the Nature Sanctuary and watching the activity in the Atlantic Ocean from the porch. The porch was a great peaceful place to read. It was shaded until middle afternoon and quiet. The Tower swimming pool was very nice. The condo was clean and well supplied in the kitchen as well as the linens. The full size laundry room was very handy. We had excellent fresh fish & shrimp from Key Largo Fisheries (not opened on Sun.) just 5 minutes away. I wanted to take it home with me. The Pilot House Rest. is a fun place to go with good seafood and it is in the same vicinity as the condo. We enjoyed a beautiful drive to Key West and excellent restaurants along the way. We found a surprise when we found Bluewater Potters in Key Largo. The pottery was exquisite! We were disappointed that we did not get to go snorkeling or do the Glass Bottom boat at John Pennekamp Park, a reason to return. We did walk the trails there and they were fun. If you are looking for a quiet place to get away and relax with excellent sea food, Jose's condo is the place to be. We spent three nights in the Penabad’s top floor condo on October 7-10, 2010. This spacious condo was very clean and well equipped with linens, towels, kitchen utensils, and the washer/dryer was a bonus. The location was excellent, minutes from our dive boat and some of our favorite restaurants. Jose made it very easy to reserve the condo and was very prompt in returning our deposit. We will definitely come back rather than staying in a hotel. We would highly recommend this condo to anyone visiting Key Largo. We took our daughter's family and our son to Jose's condo and the 8 of us had plenty of room. It was clean and comfortable. Nice salt water pool, beautiful view, great fishing jetty, and lagoon for snorkling. I need a vacation after a vacation from all the activities. We stay in Penabad’s unit April 26 – May 7. It was our 3rd stay in Unit 503 at Kawama Yacht Club. Since 3 years we spend there 2-3 weeks every year when we are in Key Largo with our disabled child. Unit 503 is very good place to stay. Kawama Tower is very calm and quiet place. The unit is on the top floor (there is an elevator of course). Condo is very comfortable (2 bedrooms, 2 bathrooms, living room and full equipment kitchen, balcony and laundry). Unit is extremely clean, very well equipped, very well furnished with all you need for your vacation and it has a beautiful view of ocean, marina and sunset. We feel there like at our home. We enjoyed all amenities and swimming pool area, Kawama Beach with Tiki and of course child’s playground. 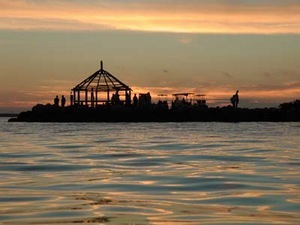 There are a lot of attractions, shops and restaurants just a few minutes away from Kawama Yacht Club. Jose and Estela (the owners) they are very special people, so friendly and helpful. They greeted us so warmly and made us feel very special indeed! We would highly recommend this condo to anyone. We will definitely come back again if we can. Jose and Estela we want say THANK YOU SO MUCH! for your help this year. My husband and I spent a week in Unit 503 at Kawama Yacht Club beginning January 23, 2010. We thoroughly enjoyed the experience. The unit was very spacious, well stocked (better than most others), very clean and had a lovely view of the sunset as promised. More importantly, the owner - Estela - greeted us so warmly and made us feel very special indeed! We would definitely recommend this property to our friends. We rented the Penabad's tower condo January 31 - February 7, 2010. Jose and Estela were easy to work with. The condo was immaculate. The oceanview and sunsets were great. The complex location was great for all the local attractions. The other owners/renters were friendly. We would highly recommend renting at the Kawama Tower Condos. We spent a week in this condo December 4-11, 2009 and it was fabulous. It was extremely clean and all so beautifully decorated. It is so much nicer than what the pictures portray. The Kawama complex is great and in close proximity to all nearby attractions and restaurants. My husband and I really enjoyed all its amenities and great ocean views from the balcony. We especially enjoyed watching the sunsets every day. What the owner’s claim of having great sunsets is so true. The unit is very well equipped with all you need for your vacation and your home away from home. From linens to towels, kitchen utensils, it was all there. The owners are a delight to work with. Jose made it very easy to reserve the condo. I don’t know how Jose managed but our deposit was refunded and arrived 1 day after our arrival back home. 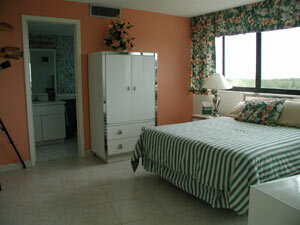 I would highly recommend this condo to anyone visiting Key Largo and the Florida Keys. We will definitely come back again and this time bring the grandkids. A fantastic place! Jose and his family were so friendly and helpful through out the whole booking and arriving and leaving. We got loads of info about where was good to go and wow they knew the places to go! The condo was fantastic, felt really secure and happy to leave the hire car, the balcony had a great veiw over the sea and the mangroves depending on which way you looked. A really fantastic place, really excellently situated to get anywhere you needed (we went all over south Florida) and can't wait to get the holiday booked for next time! My family and I just returned from a wonderful and relaxing vacation in Key Largo. Choosing the right place to stay was of utmost importance to me as I was traveling with my 7 month old baby, my parents and husband, and I must say that this condo was the right place! The condo unit had everything we needed from the baby's crib to every type of kitchen utensil that my husband needed for cooking (he is the chef in our family!). 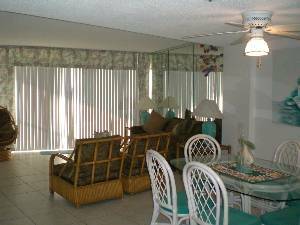 The condo and all its amenities were very well maintained. The location of the condo was beautiful. As we drove into the private community we were very impressed by all the greenery. The condo also offered amazing views of the water and breathtaking sunsets. Having a security guard at the gate was also a plus. Knowing that only authorized people were allowed on the property offered peace of mind. Parking was never a problem. There was plenty of parking during the day and at night. There were plenty of activities for the whole family to engage in. My husband and I went snorkeling in John Pennekamp's coral reef a few times. It was magnificent! He then went deep sea fishing with a private charter. My parents and the baby enjoyed swimming in a beautiful tropical beach just a few miles away called Founder's Park. All these activities were just minutes away! The building also has a couple of lovely and well-maintained pools. Shopping, activities, food, car rentals and more are within minutes from this terrific condo! I manage a conference center in Florence, Italy and for several years also managed a small B&B in Florence, and I give this condo unit 5 stars. Not only is the unit and location terrific but so is the owner! From my first inquiry to the booking to check-in to departure, the owner made every step super easy. He was very helpful, offered a lot of advice about the area and was very friendly and professional. I hope we have a chance to return to his home in Key Largo in the future. We absolutely love this condo. My wife, her friend and myself stayed for 10 days and enjoyed every moment. The condo is on the top floor with an amazing view of the mangroves and marina. The sunsets are spectacular. This is a fantastic place to relax in after an entire day of visiting all the wonderful places that Florida has to offer. And most of all, it was a pleasure meeting the hosts of this idealic spot in paradise. We're always a bit reluctant to book vacation condos directly from individual unit owners when we haven't visited the place before. But the owner of Kawama Unit 503 put us at ease from our initial email contact and throughout our stay. He was a friendly, helpful host who was an absolute delight to rent from. The unit was casual, comfortable and spacious for the three of us (2 adults and 1 child) and could easily accomodate a bit larger family. The unit was well-equipped with everything we needed for the week. We especially liked the washer and dryer -- no need to pack lots of clothing and beach towels. The pool is new, beautiful and clean. 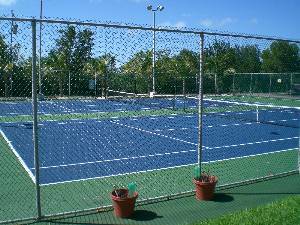 The complex is in a great location -- minutes away from wonderful restaurants (Fish House, Buzzard's Roost to name a few) and recreation. 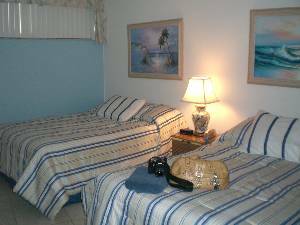 When in Key Largo, I wouldn't hesitate to rent Kawama Unit 503 again. Joe and Marie Catonsville, Maryland. 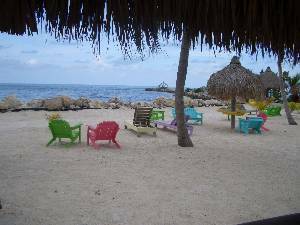 We have vacationed for most of the past three winters in Key Largo, Florida in the Kawama Tower units at the Kawama Yacht Club, located on the ocean side of Key Largo. The Tower building is located adjacent to the Marina with the ocean beyond. This gated community also features Town Homes and Villas. We prefer the Tower condo units with elevator access and everything on one floor. For the last 2 years we have stayed in a unit on the the fifth floor, which is the top floor in the building. Our stays in this unit have been very pleasant. We feel this unit was a very nice upgrade from our first year in a third floor unit. It is spacious, quiet, and finely decorated in an aquatic theme. We appreciate the comfortable living room, master bedroom bed, and the tile floors throughout. Most balconies on the fifth floor offer an unobstructed panoramic view of the Atlantic Ocean. This unit's balcony faces southwest and provides morning shade and beautiful sunsets in the evening along with a view of the Marina and the ocean beyond. The sunset may also be enjoyed from the living room , sometimes while listening to the excellent stereo system. The private pool, large lake, beach and peninsula which is surrounded by ocean waters have all added to our enjoyment. We have thoroughly enjoyed the warm winters that Key Largo has offered us the past three years. There are many fine restaurants nearby. Our reservations are in for 2009 and hopefully we will be allowed to vacation in this winter paradise for many years to come. Pepe Lopez Traverse City, Michigan. I would definitely recommend this property to a friend. It was clean, well-maintained, well-furnished, and and well-stocked with games, magazines, and just about every kitchen utensil you could ever think of. The balcony looks out over the tennis courts and has a lovely view of the sunset each evening. The tower is located just a short walk from the beach, the swimming pools, the lake, and the playground, so there is always plenty to do. Homeowner Response: Thanks Walter. The cosmo receipe will be put to use this Saturday!! We enjoyed our one week stay in this unit. Jose was friendly and very helpful in familarizing us with the area. The unit was very clean and had all the amenities we needed. It has a great view from the balcony. We had a great vacation! Rates do not include state and local taxes totaling 12.5%. Rates subject to change without notice. Deposit: $300.00 to hold the unit which converts to your damage deposit. Refunded after check-out. Cancellations and Refunds: Stipulated on agreement. Required Stay: Prefer Saturday to Saturday.